One of the most important things to consider in negotiating a new job is to focus on the big things first. I've seen inexperienced salespeople demanding a shiny new Macbook Pro instead of the company standard of a PC. Really, guys, is this in your best interest? Negotiation items that really matter in the bigger scheme of things. Discuss benefits, discuss car allowances, vacation, the commission plan, etc. Save your low-dollar demands for either the end of the negotiation. Better yet, leave them out altogether. If you want a freakin' Macbook, fork out the $1,600 yourself. How does this small amount fit in the priority of negotiating a 6-figure compensation program. Doing these kinds of things demonstrates a lack of understanding that big things must be considered last, if it all. As part of your due diligence, ask to speak to your future peers, your engineering support people and as many other folks that will give you a well-rounded vision into company culture. You'll pick up skills that will help you negotiate when you're ready. In a soft and casual way, find out what points are really negotiable and which are not. Spend your intellectual capital in smart ways. Align with the company culture and figure out if you're willing to take an offer than may not have everything you want, but overall puts you into a better environment with better growth potential. When it comes to serious negotiation, take advice from the pros. Trade off things you want with concessions you're willing to make. For deal killers, state your requirements clearly and shut up. The one who talks first, is likely the one who will win. Be careful here, though. Some items simply cannot be negotiated. Find out what these sticky points are and be prepared to concede on these points if you really want the job. Don't consider making a move unless your new prospective company really values what you have to bring to the organization. Don't worry, they'll probably tell you, and if they want you bad enough, they'll likely go to the ends of the earth to get you. What they WON'T do, is to challenge company culture or set unusual precedent. Be smart. don't fight over the little things and soon enough you'll be part of a new team, with an new business card. Happy negotiation. Seems like every sales organization is down on the RFP, otherwise known as a formal Request For Proposal. These are usually solicited by government/educational institutions, but are not uncommon in the large enterprise space. The "frown" on RFP's is usually due to the fact that when the rules are formally established before they accept bids, some sales organizations feel as if their power (and therefore, their likelihood to win) are diminished. Some companies feel that there is too much competition and regulation surrounding RFP's that it's "not worth the effort." Probably the biggest reason that many companies pass on the RFP process is that history has indicated that they don't usually win. 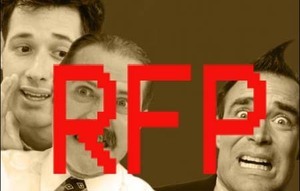 Let's look at RFP's from another perspective. While there are more stipulations and regulations for most RFP's, this can also present an advantage to those willing to do some research. Given the fact that most RFP's are public, an enormous amount of data is just sitting out there, ready to be captured and analyzed. I've seen several salespeople that have an analytical streak, review the science behind the RFP or solicitation. Information abounds when it comes to statistical analysis. Items like: who usually bids, what did these winning RFP's look like, how does the buyer evaluate and score RFP responses, what are the common positive and negative trends, which buyers adhere to the rules strictly versus a more casual approach, etc. The list goes on and on. 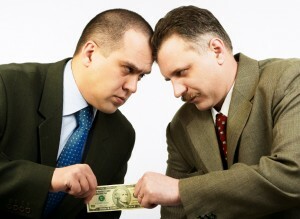 There's a good argument for bidding on an RFP, even if you know you'll lose. What if you found a trend that companies that bid on an RFP twice and lost, usually win the second or third time. Might be good long-term strategy. Another key factor here is that with today's online environment, much of this information can be found online, making your job easier when it comes to collecting data. When you think about it, you'd probably do this type of due diligence even if you weren't in an RFP situation. Great salespeople gather as much information as they can about an opportunity, to appropriately qualify an opportunity. Why not take the same effort in a competitive bidding environment? Remember, organizations buy for a variety of reasons and it's not always the lowest price. This statement has been shown over and over again in the public buying environment. RFP's are still a sale and there are potential relationships and strategies that can be applied here. Even quick chats with purchasing agents, buyers and influencers can make that small bit of difference to position your formal response documents. Just as a note, I'm not suggesting that you can always influence RFP's, nor am I stating that price isn't the primary factor (many times, it is). I'm simply presenting the fact that RFP's must be more carefully analyzed than the average proposal. Lastly, while it is generally common knowledge, it's important that all salespeople try to get IN FRONT of any public solicitation. RFP's are created out of whole cloth. If you look back in time, there are many months (and sometimes, years) of hard work that goes into writing and budgeting for a solicitation. It is your job to engage early and often, create a relationship and carefully position yourself for the best outcome. Good luck! Wouldn't I love to actually be paid to endorse the leading hosted CRM application in the world. Yeah, that's not going to happen, believe me. To their credit, Salesforce.com (affectionately known to users as SFDC) doesn't need to pay me for me to sing their praises. 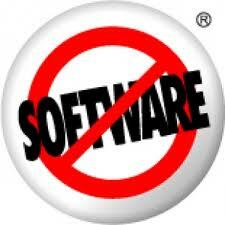 In 2010, SFDC released their latest software edition of their Enterprise CRM. Overall, it's about the best damn customer management and sales efficiency booster out there. In 2004, the SFDC stock was selling at $8/share and closed the other day at over $125/share. Would have loved to have seen that one coming. Why the success? Why have so many organizations decided to move to a cloud-based, hosted solution? SIMPLE: It works the way salespeople think and reports on that effort like a pro. In my sales career, I've used just about every CRM-style application out there: ACT, GoldMine, MicrosoftCRM, Siebel, NetSuite and more. I actually utilized SFDC heavily around 2001-2003 and was impressed by the tool even then. I had a few gripes and moved away to another tool for the past 8 years. I can't tell you how impressed I was with SFDC's latest web-based model. As a salesperson and a sales manager, the power of this tool means one thing: more efficiency, more productivity and more sales. One of the coolest things about SFDC is their social networking application sandbox, which pretty much has every type of bolt-on, integration tool and output management plug-in that you could image. These SFDC applications are pre-made, customizable and nobody else has anything like it. I liken it to the Apple iPhone of CRM's. Yes, you're restricted as to content, but there thousands of them, and they work seamlessly. Whether you work for a small business or a Fortune 100 company, every salesperson can realize huge benefits with SFDC. Don't believe me? SFDC will let you try it for free for 30 days. OK Salesforce.com, where's my shameless plug bonus?